The 91-degree summer weather Friday didn’t keep families from walking down William Street to the annual St. Mary Festival. 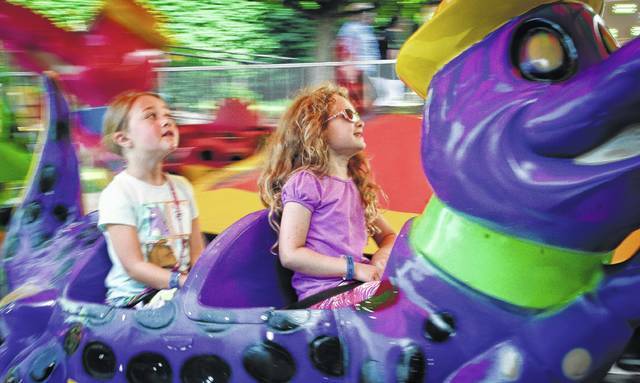 The heat didn’t seem to bother either Isabella Cook (left) or Skyler Hatten (right) as they took a spin on a crocodile’s back not long after the festival opened at 5 p.m. Friday. The festival will be open from 5 p.m. to midnight Saturday at 82 E. William St. in Delaware.